Groundbreaking film guides mainstream viewers through the real science and scientists behind noetics and bioenergetic medicine. 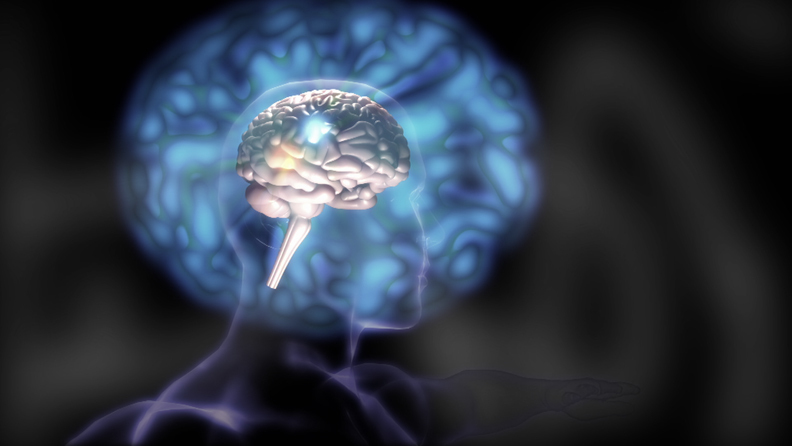 Can our thoughts influence the world around us? Dan Brown's break-away success novel The Lost Symbol, last week catapulted the frontier science of Noetics into the global spotlight, introducing its readers to the Institute of Noetic Sciences (IONS) along with science writer, Lynne McTaggart, both prominently featured in the sell-out documentary,The Living Matrix, released earlier this year. While The Lost Symbol character of noetic scientist "Katherine Solomon" is fictional, industry insiders have speculated that she is inspired by a real-life noetic scientist and a key participant in The Living Matrix film, Dr. Marilyn Mandala Schlitz. As CEO of IONS and recognized for her research into the powers and potentials of the human mind, Schlitz is a leading authority on Noetic science. McTaggart, whom Brown describes as a "noetic author," enjoys recognition in the novel for her global, web-based study - theintentionexperiment.com, which is aimed at discovering how human intention can affect the world. Dr. Schlitz and other film participants will participate in a live panel discussion following the Los Angeles premiere of The Living Matrix at the Egyptian Theater on September 30th, 2009. The event is co-sponsored by American Cinematheque and The Reconnection. 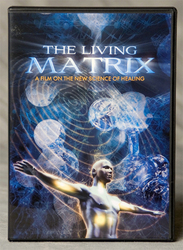 Dr. Schlitz and McTaggart join other scientists, researchers and academics in The Living Matrix, the groundbreaking documentary that preceded the mystery novel in highlighting noetic science but which also moves other empirical scientific research in bioenergetic healing out of the New Age and into mainstream consciousness. They include IONS founder and former Apollo 14 astronaut Edgar Mitchell, PhD; senior IONS scientist Dean Radin, PhD; Peter Fraser, chief scientific officer for NES Health; cellular biologist Dr. Bruce Lipton; world renowned teacher and author Dr. Eric Pearl; biophysicist James Oschman, PhD; and director of research at the Institute of HeartMath Rollin McCraty, PhD, among others. Described as "packed with the latest information on healing and consciousness," by WholeScience, and "a must-see for anyone interested in opening the mind to the possibilities of healing that allopathic medicine does not address," by Beyond Words publishing, The Living Matrix is an ideal guide for The Lost Symbol readers hoping to learn more about noetic science. The Living Matrix is the first documentary to question the exclusive role of genetics in human biology and explores scientific evidence that energy and information fields are controlling factors in health. Thought-provoking interviews with leading-edge scientists, academics, and authors; 3-D motion graphics; and remarkable stories of recovery create a film which has drawn sell-out crowds at both its European and U.S. premieres this year. The Institute of Noetic Sciences is a nonprofit membership organization located in Northern California that conducts and sponsors leading-edge research into the multidisciplinary studies into the potentials and powers of consciousness. The Institute maintains a commitment to scientific rigor while exploring phenomena that have been largely overlooked by mainstream science. For three decades, scientist and anthropologist Marilyn Mandala Schlitz, PhD, has explored consciousness, transformation and healing. She has conducted clinical and field-based research, delving into the powers of the mind, including remote viewing, mind over matter and distant intention and healing. Dr. Schlitz is currently heading a National Institutes of Health-sponsored study on the effects of compassionate intention on wound healing in women undergoing reconstructive surgery. Her fieldwork has spanned the globe - from the West Indies and rural Texas to the Ecuadorian Amazon and among healers and spiritual teachers from a broad representation of the world's traditions. Science journalist Lynne McTaggart is the award-winning author of international bestsellers on quantum health and consciousness. In "The Field," she uncovers a picture of an interconnected universe and describes new scientific theory that makes sense of supernatural phenomena. Her newest book, "The Intention Experiment," explores the question: "Can our thoughts influence the world around us?" McTaggart is an internationally recognized spokesperson on the science of spirituality and quantum aspects of health. She appears in the full-length version of the cult film "What the Bleep!? - Down the Rabbit Hole." Greg Becker is president of Emaginate video/film productions in San Rafael, CA. The Living Matrix executive producer is British entrepreneur Harry Massey, CEO of NES Health in Poole, England. Susan Becker is producer of The Living Matrix and vice president of Emaginate.